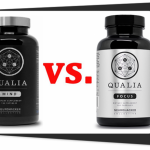 Qualia Original Stack vs. Qualia Focus presents two brain boosters from Neurohacker Collective for people who want to stand out in their daily cognitive tasks. Qualia Original Stack gives you a two-step formula with unbelievable ingredient combination to enhance your overall brainpower. On the other hand, Qualia Focus provides a simpler formula to enhance the essential aspects of your cognition which matter the most. Is one formula better than the other? Let’s find out in this review. 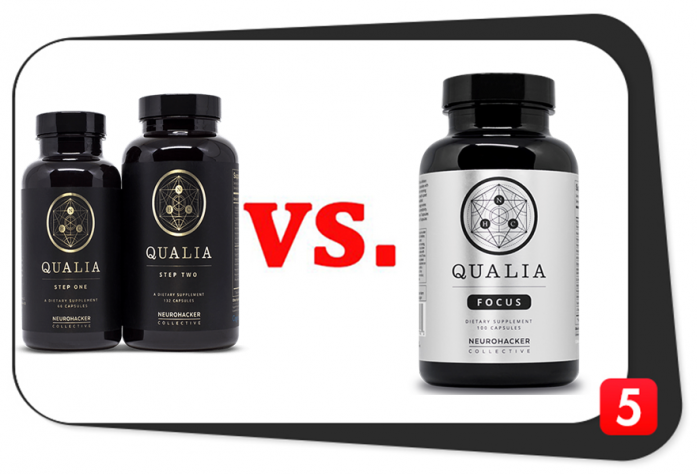 Qualia Original Stack and Qualia Focus are both brain boosters from the same manufacturer, Neurohacker Collective. How are Qualia Original Stack and Qualia Focus formulas similar? These two formulas have plenty of similarities. We expected this because they’re from the same manufacturer. Ingredient forms are mostly identical. However, the company doesn’t provide ingredient dosages in the same quantity. Dosages affect the potency of the individual ingredients in the stack. For some of these ingredients, higher dosages are better. However, some ingredients may cause negative ingredient interactions when they come in high dosages. That is what Qualia Focus is trying to eliminate. Because of the moderate dosages of its components, it is unlikely to cause negative ingredient interactions. In addition, the manufacturer provides some of these formulas’ similar ingredients (namely vitamin B3, vitamin B5, vitamin B6, Bacopa monnieri, dl-phenylalanine, l-tyrosine, l-theanine, Mucuna pruriens, benfotiamine, Ginkgo biloba, and Huperzia serrata) in equal doses. How are Qualia Original Stack and Qualia Focus formulas different? Qualia Original Stack offers higher dosages of most of its common ingredients with Qualia Focus. However, bear in mind the former is a two-step formula which is like taking two nootropic stacks in a day. In addition, you will also have to ingest more capsules per serving with Qualia Original Stack. Long story short, it can deliver high dosages. On the other hand, Qualia Focus provides good variety and moderate dosages of its ingredients. Qualia Original Stack contains plenty of ingredients which pack a punch when one takes it correctly. Its formula is fairly potent. Plus, there are no proprietary blends which hide ingredient quantity. Unfortunately, Qualia Original Stack has DHEA (a banned substance for competitive athletes). The ingredient combination of Qualia Original Stack is okay if you’re a non-athlete user. However, negative ingredient interactions remain a possibility since it contains plenty of ingredients which the body metabolizes differently at the same time. 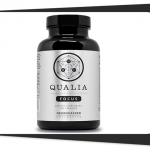 On the other hand, Qualia Focus is a simpler nootropic formula from the same manufacturer aims to eliminate most, if not all, of the issues of Qualia Original Stack. Make no mistake about it, the former’s ingredients are potent. In addition, the company clearly lists the ingredient forms and dosages on the label, which is a huge plus for the customer. 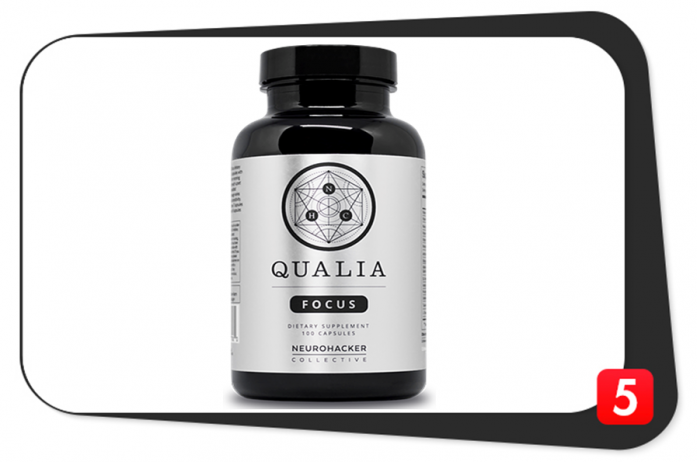 The nutrient combination of Qualia Focus provides essential cognitive support which benefits adults of all ages. It doesn’t contain banned substances for athletes, too. The fewer ingredients of Qualia Focus became an advantage since they don’t cause negative ingredient interactions. Advanced Delivery No. Plain veggie capsule. No. Plain veggie capsule. Stim-Free No, it contains Purenergy™ (90mg Caffeine & 119mg pTeroPure™ pterostilbene co-crystal) 209 mg. No. It contains Organic Coffeeberry® (90 mg caffeine) whole coffee (Coffea arabica) Fruit Extract 129 mg.
As expected, these formulas have similar qualities since they come from the same manufacturer. However, Qualia Original Stack contains more high-quality ingredients than Qualia Focus. The reason: the former contains more quality ingredients (some are even in advanced forms). Both formulas are potent and absorbable. However, since Qualia Original Stack contains too many ingredients, it may cause negative ingredient interactions. These prices are from the official website of Neurohacker Collective in 2018. If you want to shop around for a deal and maybe save a few dollars on these products, you can also buy these Qualia formulas from Amazon. However, you won’t find these products on Bodybuilding.com and GNC. 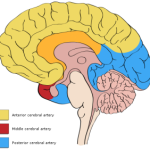 Qualia Focus is a cheap and beneficial cognitive supplement. If you are looking for simple and direct results on your cognition, Qualia Focus should suffice. It also doesn’t sacrifice quality so it can lower its price tag. On the other hand, if you are after a behemoth nootropic supplement which offers out-of-this-world cognitive enhancement (and you don’t mind shelling out a few dollars), Qualia Original Stack might is the more ideal formula for you. In terms of pricing, Qualia Focus is cheaper than Qualia Original Stack. Give credit to the former’s fewer ingredients. However, these two supplements boast of equal quality since they are from the same manufacturer. The lower price of Qualia Focus is worth your savings if you are just after essential cognitive support and nothing too intense. 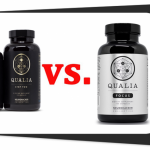 Qualia Original Stack vs. Qualia Focus: Which is Better? Qualia Focus successfully eliminated the issues in Qualia Original Stack’s original formula. As a result, the former is now ideal for more consumers. These two products have equal quality because they’re from the same manufacturer. The main differences in these two formulas are the number of ingredients and the price. Qualia Focus is the better formula between the two because it does not contain banned substances in sports organizations. Plus, it is unlikely to induce negative ingredient interactions upon intake. 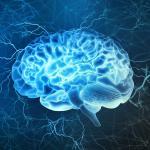 We’re confident it can also provide significant cognitive enhancement. For these reasons, Qualia Focus is better than Qualia Original Stack.